Thread: Another new guy from WI!! Hello everyone! Just picked up my brand new 2015 Si. Looking forward to logging my build progress for anyone that is interested. 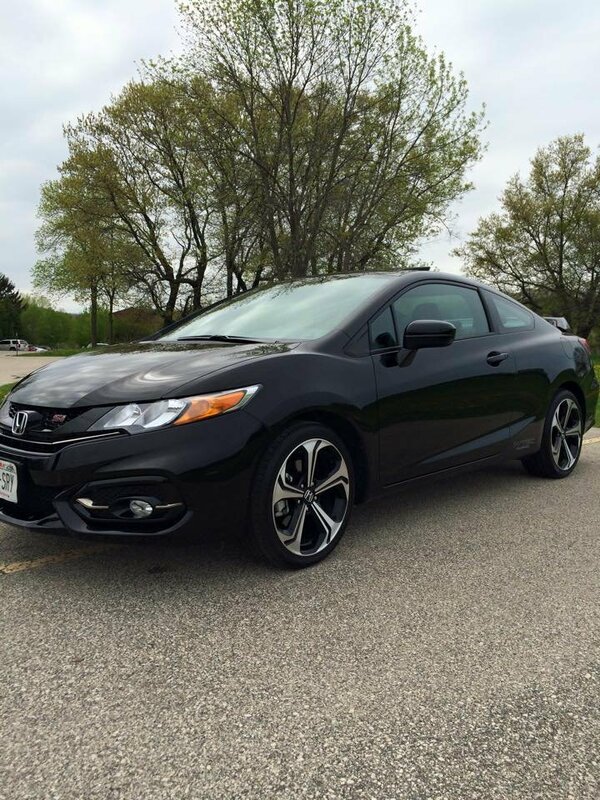 Anyone in Wisconsin area know of any decent Si clubs? I know who U R.
Nice ride!!! !Welcome to the forum. 2012 SI CBP,HPS intake tube,K&N drop in filter,Weathertech Digital fit mats,Yo speed sill protection,JDM Carbon Fiber cooling plate,JDM Carbon fiber engine cover,Continental Extreme Contact tires.RV6 Catted downpipe,Q300 catback,Flash Pro etuned by VitViper. On Wisconsin! Welcome and where about in Wisconsin are you located? Welcome. Where in good Ol' WI are you? West Allis area here. I don't know if any SI clubs but there are a lot of local car enthusiasts in the Milwaukee area. Thanks guys. I'm in the Waukesha are here. I figured it would be a good time to get some SI drivers together and go to a brewers game for some tailgating. I am always down for a tailgate and Brewers game. I will let you know when there are GTG's going on. There are a ton of really cool car guys and gals in the area and there are some decent under the radar cruises and stuff coming up. Not Honda specific, but I like everything. I own old Mopar stuff too so I like it all. Excellent! Thank you in advance for keeping me posted on stuff like that. I went to hwy 100 a few times recently but in my opinion it has tamed down quite a bit from what it used to be. Hello, I just joined too. We should start a club if there isn't one already out there. I live just off of HWY 100 and there always seems to be something going on. It seems to be at very random times and days now. I have not done much of the Hwy stuff though since high school. So I guess things change in 10ish years. I am down for getting everyone together and/or starting a "club". Do you guys want it to be just Hondas? Just SI's? How exclusive? Who decides who gets in and who doesn't? I am in the process of getting a club together right now, however it will not be Honda exclusive. It will be car guy exclusive though.